Blueberry season is heading our way and this summer I’m using my favorite fruit in cocktail recipes. Today I made a blueberry cocktail infused with mint and lime. It is refreshing, subtly sweet and gets you just the right amount of tipsy—in other words, everything you want in a cocktail! Yes, blueberries are my favorite fruit and I add them to everything I can. Cheesecake, muffins, ice cream, smoothie bowls, chocolate cakes, you name it! So it should be no surprise that I’m adding blueberries to my cocktails. I think the fresh mint is a key ingredient for this blueberry cocktail. I recommend planting mint in a pot every summer so you have it on hand. I would say plant it in the garden, but my mom informed me that mint grows like wildfire! 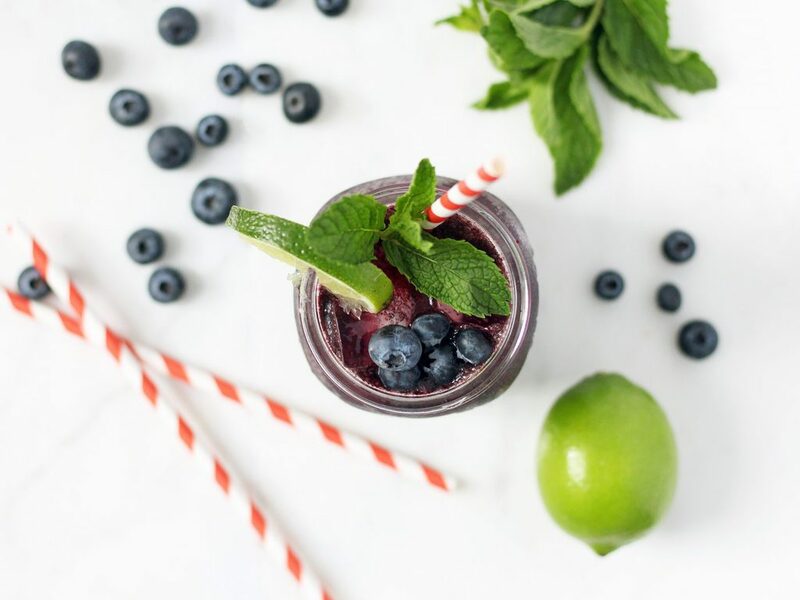 Anyway, mint leaves paired with ripe blueberries creates a cool and sweet flavor that defines the refreshing aspect of this cocktail. Muddle the two with fresh lime juice and you have your smash. After using my cocktail shaker to shake the smash with vodka and honey, I poured it into a mason jar. You can strain the smash if desired… I personally like the blueberry bits in it! Then I added ice and seltzer water, gave it a quick stir and garnished with a lime wedge and mint leaves. Okay, how beautiful is this cocktail? 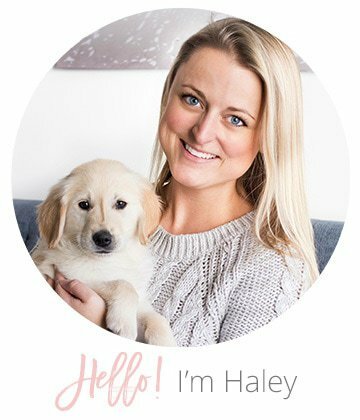 I sent a snapchat (haleydwilliams) to a friend and she thought I was at a restaurant it looked so professional. I swear mason jars have that affect as does the right garnish. 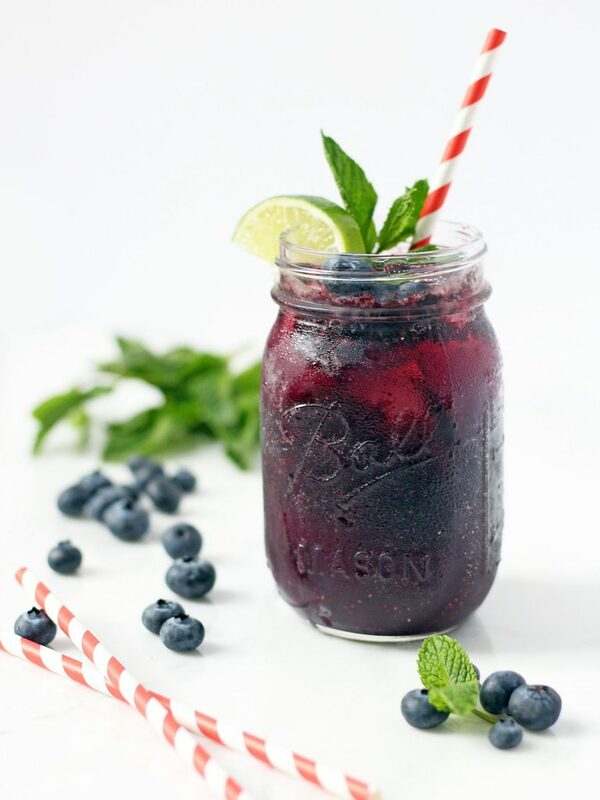 Try your hand at making a mint-infused blueberry cocktail and see what your friends say! Place blueberries, mint, and lime juice in a cocktail shaker and muddle. Add ice, vodka and honey. Shake vigorously to blend. Strain into a mason jar or old-fashioned glass. Top with seltzer water. Garnish with a lime wedge and mint sprig. *This recipe can be doubled easily, but for the purpose of how many drinks you can make in a shaker, I kept the recipe at a two-serving size. Absolutely my kind of cocktail! 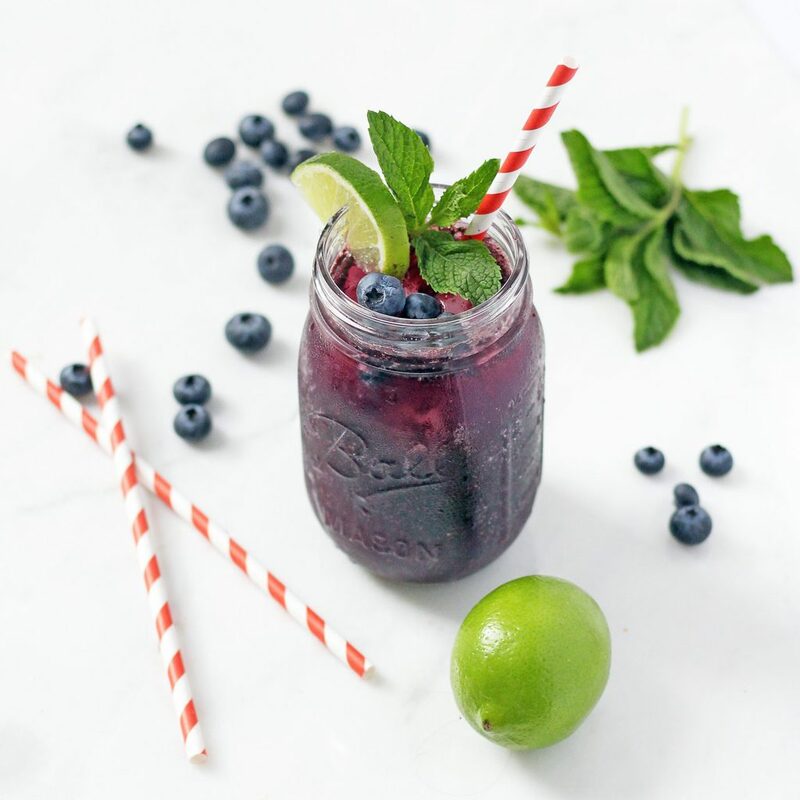 I love a blueberry vodka smash at restaurants and now I can make my own at home! Pinned and cheers! This is one beautiful cocktail, perfect for summer. I’m loving blueberries right now. This cocktail looks great! Yumm! I think I would like the blueberry bits also. Beautiful pictures! Thank you, Sandra! The blueberry bits are my favorite part. I want to jump right into this! What an amazing way to welcome in summer! 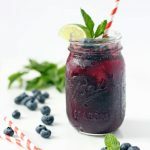 Because I’m now planning on making this amazing mint infused blueberry cocktail for this weekend’s get-together, I am choosing this as my feature for the Thank Goodness It’s Thursday link party. Yum, this looks delicious and refreshing.